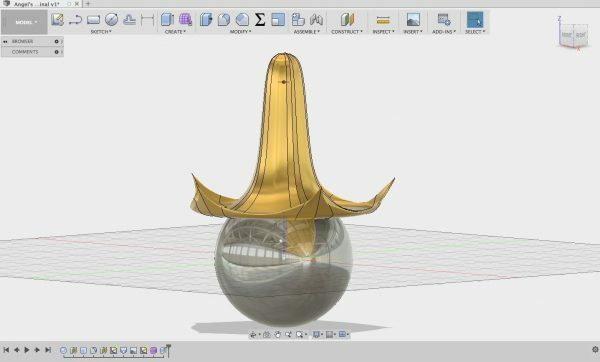 LEARN: 3d Modeled Angel’s Trumpet Flower Lamp Shade in Fusion360 « Adafruit Industries – Makers, hackers, artists, designers and engineers! Angel’s Trumpet flowers: fragrant, delicate, beautiful and ephemeral. They bloom year-round and last only a few days on the vine, and once picked they wilt within minutes. They’re one of my favorite flowers, but are too fragile and fleeting to be used in my flower arrangements. 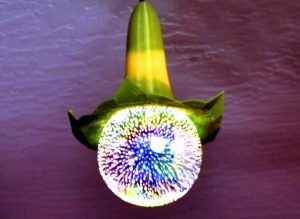 This guide will detail the steps in 3d modeling an eternally-blooming Angel’s Trumpet flower to be displayed indoors. We’ve even enhanced its beauty by turning it into a beautiful pendant lamp shade for an LED light bulb. Each flower that blooms on the vine is different, so we’ve used Fusion360’s sculpting tools to create a unique and organic flower that’s reminiscent of the real thing. See the full tutorial on the Adafruit Learning System.